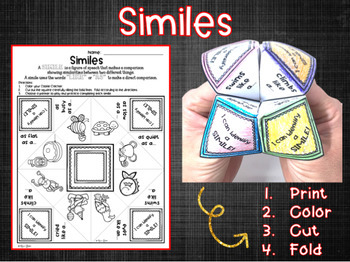 Teaching figurative language...specifically, similes? 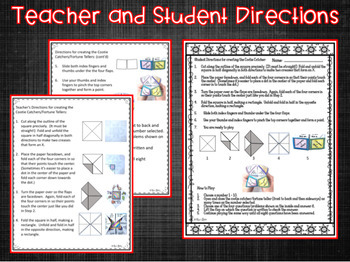 Take a look at this Follower Freebie, and take a walk down Memory Lane with this engaging "Cootie Catcher" foldable! No prep required, simply print and GO! Your students will LOVE creating this fortune while learning about similes. 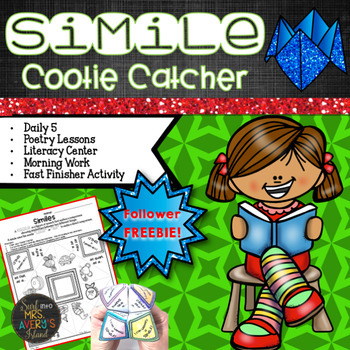 Click here to see the complete collection of figurative language cootie catchers! The collection includes metaphors, alliteration, onomatopoeia, and commonly used idioms. Want more FOLLOWER FREEBIES? Leave feedback after downloading this resource! Once it reaches 500 feedback ratings, I will upload another FREEBIE!